WATERLOO, Ont. — The federal government has outlined its digital strategy for Canadians, with one of its main initiatives to ensure access to secure and competitive Internet and wireless services. 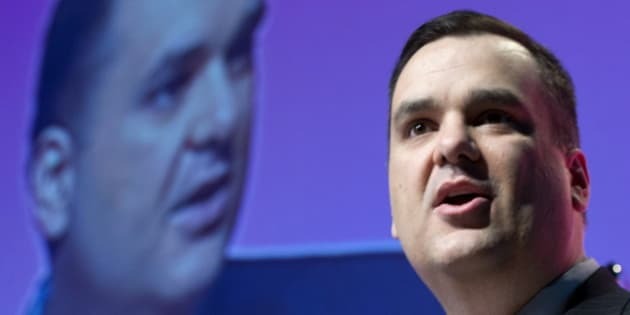 Industry Minister James Moore unveiled the Digital Canada 150 strategy on Friday in Waterloo, Ontario — one of the country's leading hubs for technology innovation. The strategy includes new and ongoing initiatives by the Conservative government, based on submissions from Canadians. Moore said that next week he will table the Digital Privacy Act, to modernize and update legislation already on the books. "This new Digital Privacy Act will give the privacy commissioner new powers and responsibilities to enforce and protect the privacy of individual Canadians as they venture increasingly online,'' Moore said. "We have to make sure that Canadians have confidence that their online presence and their online transactions are secure and that their privacy is protected and that their families are safe from online threats and cyberbullying,'' he said. Among other things, Ottawa said it's aiming to have more than 98 per cent of Canadians with access to Internet service fast enough for high-resolution video. To achieve that, Moore says the Canadian government will provide about $305 million to extend and enhance high-speed Internet services for about 280,000 households in rural and remote areas of the country by 2017. "Canadian households, mostly rural and northern households, will have high-speed Internet access for the very first time,'' he said. Ottawa will also take steps to ensure that networks are protected. The strategy calls for the Business Development Bank of Canada to invest $500 million on behalf of the government, with $300 million in for digital tech companies and $200 million for businesses adopting the technology. Moore repeated his pledge to have more competition in Canada's wireless industry, dominated by Rogers (TSX:RCI.B), Bell (TSX:BCE) and Telus (TSX:T).